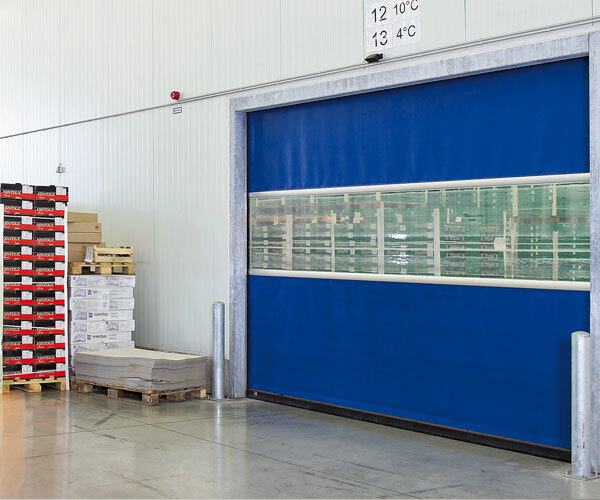 From the low priced basic model to the more robust versions, the special merits of our high-speed doors are top grade quality material, and reliably long term functionality. 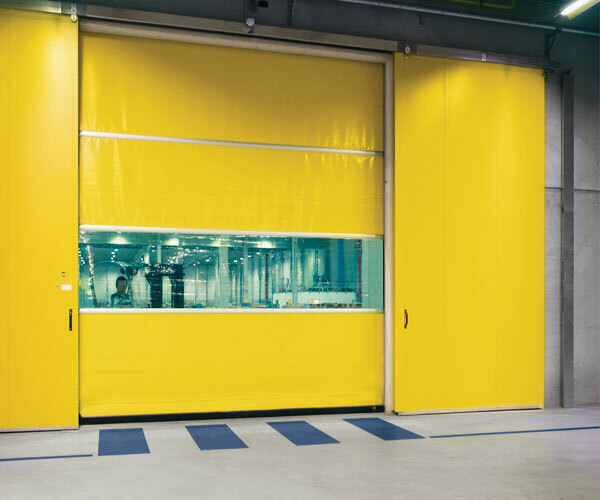 High speed doors are used for both internal and external applications to optimise the flow of traffic, improve environmental conditions and save energy. 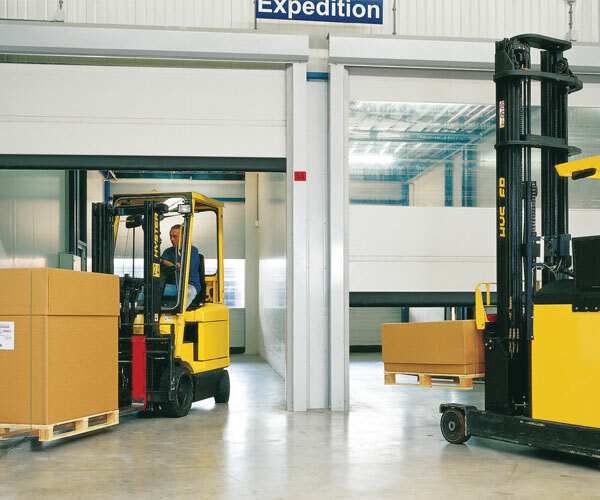 Our high speed doors also feature a ‘knock out’ bottom rail system, which ensures minimal damage and cost should the door be struck by any vehicles. The bottom rail is designed to be re-installed after impact damage, the door re-set and normal operation to be resumed. Curtain thicknesses from 1.5 mm to 4 mm. Operation speeds from 0.5 mls to 1.5 m/s. Curtains can be fully or partially transparent. 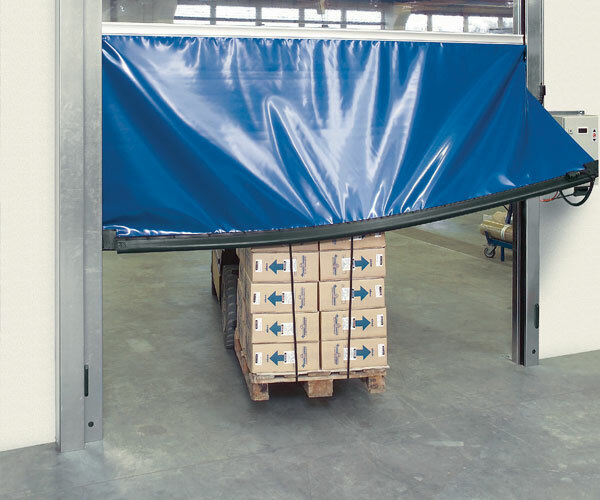 Both external and internal applications can be achieved, with maximum opening sizes of 5000 mm x 5000 mm. 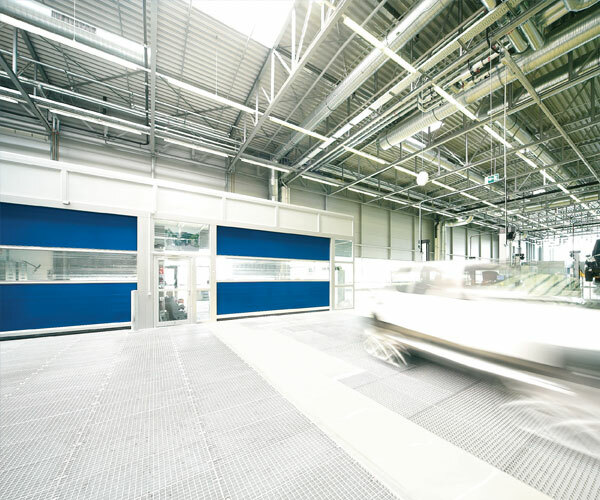 All doors are fully automated and can incorporate devices such as: radar or infra-red movement detections, induction loops, radio remote controls, traffic lights and an air locking system.